The Answer debuted at #1 on the Billboard Top Gospel Albums Chart. 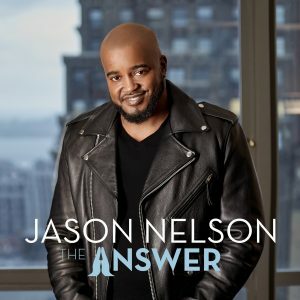 “Forever” sits as Nelson’s fourth top 5 single at Gospel radio, joining his other trademark singles “I Am” (#1), “Shifting The Atmosphere”, and “Nothing Without You” (#5). The Answer is available at all digital and retail outlets. This entry was posted in News, Press, Videos and tagged Forever, Jason Nelson, RCA Inspiration. Bookmark the permalink. Trackbacks are closed, but you can post a comment.